Insurance. Every time this word is heard, we frown; we get sceptical. We all know someone who has a “story about an insurance salesman. Since it is a commission based environment (if they don’t sell, they don’t get paid), many clowns become desperate and turn into i-want-to-make-a-quick-sale insurance agents. They hijack your emotions (look your wife and kids in the eyes and tell them how much you love them”¦ don’t you think they deserve financial security when you pass away?). If you have outstanding debts, you surely need life insurance. Why? Because you will surely leave people behind when you pass away. Since you can’t bring your debt to the other side, you will leave those you love with grief”¦ and debt! A mortgage, a car loan, a line of credit. They are all linked to one’s estate. Therefore, if you accept the estate of someone, you get the right to their assets AND liabilities. A decent life insurance policy will cover the debt and relieve your family from an additional burden. In order to get coverage, you can ask for credit life insurance (provided by the creditor) or through an independent broker (which can be a regular life insurance contract, not linked to the debt). While the creditor may push pretty hard to sell you their life insurance product, the latter will usually be way cheaper (unless you have a pre-existing condition or take more than one type of insurance with the creditor such as critical illness or disability). If you are looking for a life insurance only, go with a broker. You are debt free and your mortgage is already covered? Congratulations! But you may still need additional coverage. The second reason why you should get life insurance is to make sure that your financial dependants don’t suffer from your economic loss (it will be enough grief to be left alone, it would be worse to have to start work the next morning on top of it!). Financial dependants could be your spouse, children and any other individual benefiting from your income. When you pass away, some expenses are reduced. You don’t need to eat or buy clothes ;-). However, there are a great part of your income that was used by your family to pay common expenses (heating, utility bills, mortgage, etc.) and if you are the main bread winner in your household, the lack of revenue will deeply impact your family’s lifestyle after your death. There is an easy way to calculate how much you would require to cover for this lack of revenue but this will be discussed in another post alone. For now, just remember that if you are making good money right now, a part of it needs to be replaced by a life insurance policy so your spouse and children can maintain their lifestyle even if you are gone. This third reason why you want life insurance concerns the wealthiest of us. If you have rental properties or an important investment portfolio, your death may trigger important capital gains. If you want your estate to keep its assets, life insurance can be put in place to pay off the taxes generated upon your death. This amount is usually pretty small for the rest of us so I wouldn’t be too concerned about my last cheque sent to Uncle Sam. I have met some people who want to make sure so and so gets enough to live the good life if they ever pass away sooner. Then, you can purchase life insurance to “give” to someone who doesn’t really need this money but would make their life much easier. For example, you can decide to increase your coverage in order for your children to receive 1M$ each. They surely need money if you pass away tomorrow, but they surely don’t need that much. This is why I call it “playing Santa”. I’d say that everybody needs life insurance. Some require more than others and some need it for a limited time while others will always need substantial coverage. This is why there are so many types of life insurance and costs to go with them. However, regardless of your situation, what is important is to know that you need insurance. 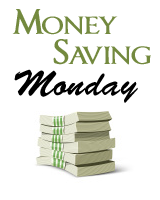 In the upcoming weeks, I’ll share more thoughts about life insurance products and insurance needs calculations. In the meantime, I would be curious to know your experience about getting life insurance. What did you choose? How did it go? Did you shop around? I just passed my two state license exams for insurance. EEK! =) I’m scared and excited all at once. Thankfully I’m not going to be selling “life” insurance in the traditional sense (Aflac!!! Woohoo!). Because I’d have a really hard time doing that I think. One thing I learned in my studying is what Term insurance actually is. I could not understand why someone would buy a temporary policy that decreased in value…except that if you have a mortgage or a debt. Which is apparently what decreasing term is for. Anyway…great article. 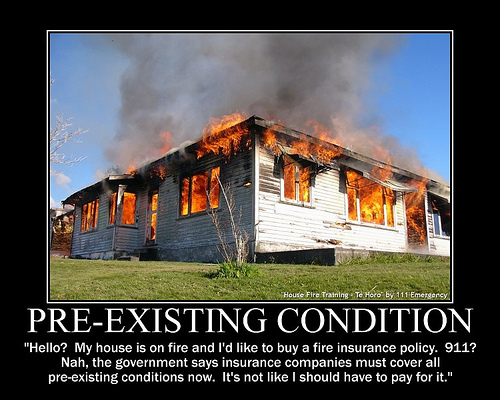 Hubby and I need to evaluate our own insurance to see if we are under or over insured. Especially since we have a new little one. Sorry, but not a funny photo. How can you compare a house on fire to a person born with Type 1 diabetes, for example, or a person who survives cancer? All are “pre-existing conditions” when it comes to health care. Not buying fire insurance is a completely different animal – house insurance is based on factors that you can control to some extent, such as where you live and what type of home you own. Yes, to a large extent health is based on your choices as well… but there are some health matters that are out of our control. I agree with you, fire insurance is different than life insurance. However, I disagree in regards to risk related to fire or health. You have a part of control on both of them and you also have a lot of variables. How can you control an applicance to spark and start a fire? Or control your kids that just found a box of matches on the street and decided to try them in the basement? And the picture was there because I thought it was funny. It wasn’t to make the comparison between house and life insurance. I have an old whole life insurance policy that is all paid up. I am not happy with it at all, but at the time I could easily afford the payments which gave me coverage to pay off the mortgage. It is kind of nice to have some cash value with that insurance now, but the returns on my money have been dismal. One other annoying thing is that none of the agents or reps at MetLife, where I have this policy, could ever tell me what the return on my money was. I had to figure it out myself. Since then I have bought only term life insurance to make sure that my loved ones are ok in case I die. I would hate to go out worrying about my family. Whole life insurance only makes sense for estate planning purposes if you have a bit of money, but for the majority of people term life is the better way to go. I guess the point that I was trying to make, but didn’t… if you buy house insurance before your house catches on fire, you’re set. They won’t cancel your insurance if you pay the premiums. But you can lose your health insurance if you lose your job, through no fault of your own – and if you’ve got a pre-existing condition, you’re in trouble because you probably won’t be able to buy a new policy. Sorry to be so off-topic. Kids, don’t play with matches. :) You’re right though, there are a lot of variables in both situations. Boy, this blog never misses a chance to make a hackneyed, right-wing joke, does it? Well, we recently cashed in my husband’s whole life policy that he’d had for the past 20+ years and put those funds into both a ROTH IRA and a money market fund. We then shopped around online for a new term policy. We decided to make a change from our long term company because my husband does have a medical condition and our company was not willing to increase the coverage from $75,000 to $100,000. We found a 10-year $100,000 term policy for about $130 cheaper (per year) than what we were previously paying. A nurse came to the house and gave my husband a physical, he signed a release form to have his doctor’s office release some info and we’re very happy. It certainly does pay to shop around. More coverage for less money. And lets face it, insurance is that intangible that we must have in case the unthinkable happens. @ Stacey, got your point now. Totally agree that when you depend on your employer’s insurance, things can turn sour quickly! @ Ms Clear, I guess this is what happen when you work in finance all day! But seriously, I just see any joke as what it is: “a small to a long time of laugher” ! We bought whole life insurance in 2004. Our financial adviser educated us on the differences between term vs. whole life insurance. I know term premiums are cheaper than whole life policies, but as you grow older those premiums only increase with age and health related problems. Once you buy your whole life policy, the premium is locked in…which also stands against inflation for the future. There are many living benefits to whole life insurance. The cash value grows at a guaranteed rate every year. It is not affected by the declining market. The cash value grows tax advantaged. You receive dividends each year that are not taxable events because it is a return on your premium (kind of like a tax return – you’re getting your money back). You don’t have to “qualify” to borrow against your cash value like you would for a HELOC or to pull the equity from your home. You just ask for it. 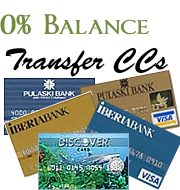 Your cash value is protected from creditors as well. So you are able to provide a death benefit to your family, along with living benefits during your life. That’s a win/win situation for me. You bu life insurance for the same reason you buy any other insurance: To insure against loss. In this case, the financial impact of the loss of life. My life is worth a predictable amount of dollars every year. If I die, my wife and kids would need to replace my income. I owe it to them to provide for that through life insurance. I can calculate what amount I would need to buy to replace my income (less my annual expenses). When I get old and no longer have any income, I no longer need any life insurance, as my death would no longer put any great financial hardship on anyone. This is lucky, since at an old age life insuranc gets pretty pricey. Bottom line, evaluate what you need life, or any insurance, for, and purchase with that in mind. Oh, and never buy whole life, just term!!! Good article, a lot of people overlook life insurance or do not look into a policy until later when it becomes more expensive. I like the “playing Santa” tip. Taking the above photo seriously for even a split second requires that I devalue the worth of a human being to so much bricks and mortar and 2×4’s. A house is a commodity to be bought and sold on the market. Human health SHOULD NOT be.